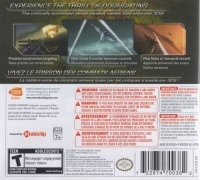 Box Text: Experience the thrill of dogfighting. 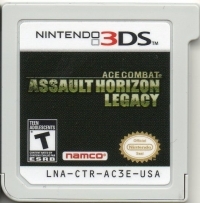 The critically acclaimed aerial combat series flies onto the 3DS! 03-19-2014 teck Alt-Name ???????? 3D ??????? This is a list of VGCollect users who have Ace Combat: Assault Horizon Legacy in their Collection. This is a list of VGCollect users who have Ace Combat: Assault Horizon Legacy in their Sell List. 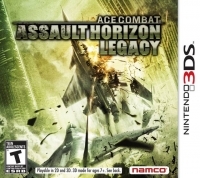 This is a list of VGCollect users who have Ace Combat: Assault Horizon Legacy in their Wish List.